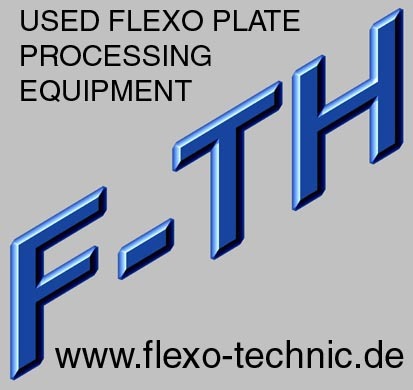 Flexo Plate Processing Equipment - at it´s best. These are the units we currently have for sale. Please come back with any further questions you might have. But please add your complete address. If you have found equipment which matches your customers need, we will provide you then with a detailed quotation. a control panel, one drawer, fitted with an electronically timer. The shown prices are net prices. You need to add your commission, crating, transportation and installation costs. 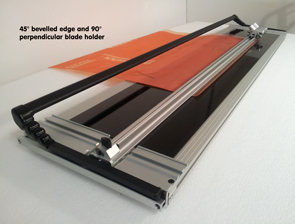 ONLY the prices shown in our quotation or pro-forma invoice are binding and valid. ALL USED machinery is offered on an as is, ex site basis unless otherwise stated in writing, subject to prior sale and/or availability. All used machines are offered subject to remaining unsold. 50% before crating resp. when ready for shipment. On NEW articles your warranty is 12 month on all parts besides brushes, tubes and vacuum foil. The parts will be shipped on your account. All specifications are correct to the best of our knowledge but it is the customer's responsibility to ensure him self that the equipment meets his requirements.